147. Why we shout in anger... - Leva Livet Nu! 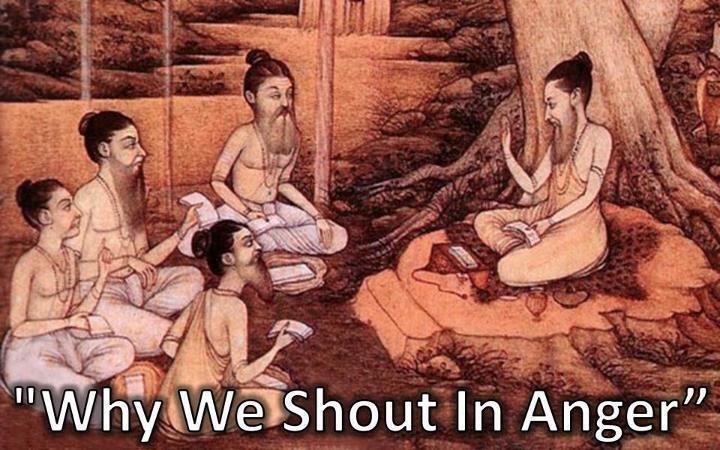 Disciples thought for a while, one of them said, ‘Because we lose our calm, we shout.”But, why should you shout when the other person is just next to you? You can as well tell him what you have to say in a soft manner.’ asked the saintDisciples gave some other answers but none satisfied the other disciples.